First of the CDR promos, one track only. A CDR recording as the disc bears also a stamp 'R-DDS', typically meaning Recordable - Digital Data Storage. About 50 of these were produced. 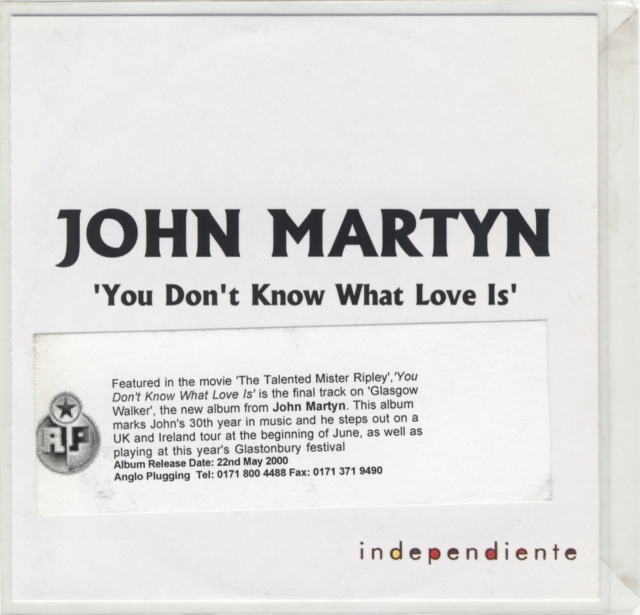 Featured in the movie 'The Talented Mr. Ripley', You Don't Know What Love Is is the final track on 'Glasgow Walker', the new album from John Martyn. 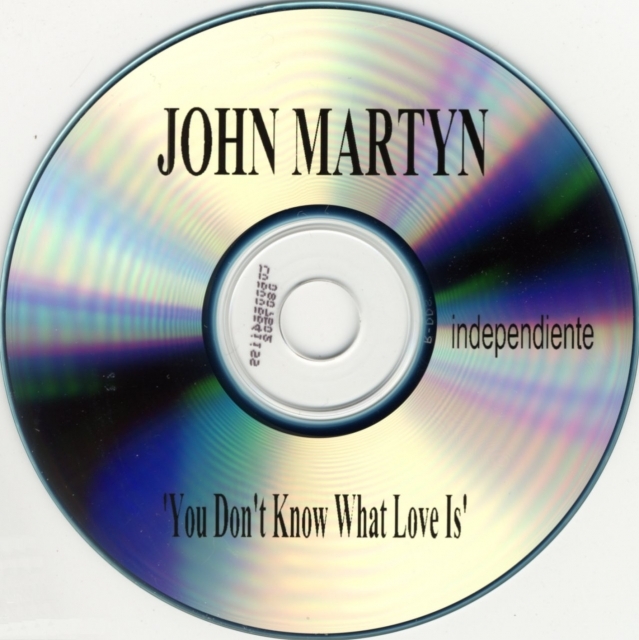 This album marks John's 30th year in music and he steps out on a UK and Ireland tour at the beginning of June, as well as playing at this year's Glastonbury Festival.